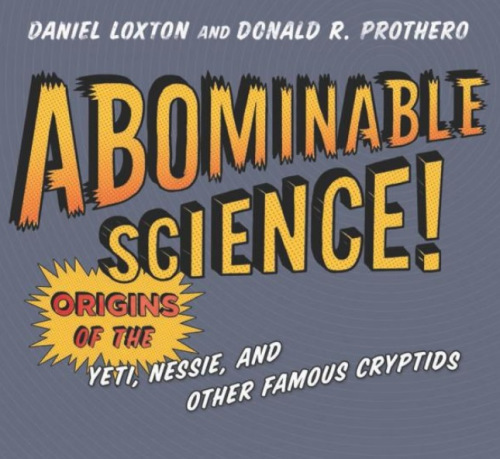 Loxton, Daniel and Prothero, Donald R. Abominable Science! Origins Of The Yeti, Nessie, And Other Famous Cryptids. Columbia University Press, 61 West 62nd Street, New York, New York 10023; 411 pages (heavy stock paper), August 6, 2013 publication. $29.95 (cloth); ISBN: 978-0-231-15320-1; photos (black and white and color); illustrations, chapter notes (references cited) and acknowledgements.Reviewed by Daniel Perez, editor and publisher of the newsletter, Bigfoot Times, published since January 1998. After reading this I figured everything else I would see in this work would be a sinking ship, which proves to be true. As I read I contemplated the authors’ explanations for cryptids: hoaxes and misidentifications proved to be the principle thesis for all things cryptozoological, be it Bigfoot or the Loch Ness Monster and everything in between. Loren Coleman note: Loxton and Prothero need to be more careful. Raymond L. Wallace actually died on November 26, 2002, not in 2003. Douglas Herrick did die in 2003, on January 6th. Since 10¢ is noted on the cover of this tome with a cartoon looking character to subliminally suggest to the reader there is nothing serious about the topics discussed, I would like to add my own 2¢ worth of critique.On page 18 the authors note, “…known from legend since the seventeenth century but not described until 1840.” That legend did come to life: the lowland gorilla. The legend of Bigfoot has a longer history than the lowland gorilla and no one is certain when it will transform into reality.”With [the late William] Roe, the Sasquatch transformed into a mystery primate – a primate white people could see,” the authors assert, which ignores the fact that prior to his 1955 sighting on Mica Mountain, British Columbia, white people were seeing Sasquatch. “Roe’s close-encounter tale effectively created the modern Sasquatch,” which again ignores another white man’s tale, that of Albert Ostman from 1924, so the template for how the Sasquatch looked was in place long before Roe, but you wouldn’t know that if you read this somewhat confusing, illogical book. Loren Coleman note: Albert Ostman did not reveal his encounter until 1957, so technically there is no support historically, via Ostman’s story, for the specific appearance of Sasquatch. The authors would be correct if that was the only evidence. However, there are several other cases for Sasquatch descriptions that predate Roe. “So exactly?” Well, let’s see, Roe was alone, Patterson was with Gimlin. P-G had horses, Roe did not. Patterson had a camera, Roe did not. The subject Roe saw walked “directly toward me,” and was seen eating leaves. The subject Patterson saw walked away from him and was not seen eating leaves. Loren Coleman note: Perez makes some excellent points here. Taking one false assumption and linking it to another is a deductive fallacy that appears to be found frequently in this book. The fact that Sasquatch/Bigfoot appear to be similar in appearance down through the decades is an intriguing criticism from scientists who, on the other hand, dismiss eyewitness accounts of other cryptids for a lack of consistency. When I talk about this book as both confusing and illogical, let me shore up my argument. Roe is a hoaxer, it follows that Patterson is a hoaxer. I don’t get it. Does this mean the that if a short, bald man who robs a bank it follows that the next short, bald man who walks in a bank will do the same? I don’t see the logic in that.”Patterson, a Bigfoot author, set out on a camping trip to film Bigfoot – and then he promptly did,” writes Loxton on page 48. For those who have followed the real story line, Patterson set out to film Bigfoot tracks in the Bluff Creek area for a documentary he wanted to produce, and supported by the first newspaper publicity on the matter.”Last Saturday [October 14, 1967] they arrived to look for tracks themselves,” as per the Eureka, California, Times-Standard. Fast forward to the storied day of October 20th…I would hardly call that “promptly.” In terms of rugged scholarship and real research, Loxton fails to hit his mark but because this tome is published by Columbia University Press most unsuspecting readers would be greatly impressed by the prestige of the publisher, unable to realize serious scholarship is lacking in many instances.In fact, as I was preparing my notes for a review of this book I looked at the reviews posted in Amazon.com, only to realize that there still remains ignorance and and naiveté about the P-G film. Noted E.N. Anderson from Riverside, California: “The [P-G] film so often cited is a transparent case of a guy in a gorilla suit — I believe I even noticed a label on the suit in one frame.”Bob Heironimus is thrown in the P-G film mix for good measure. You know, the standard crap: car trunk, fur suit and rumors. Anything to dislodge the 16-millimeter film from its proper place in natural history. Yet nowhere are we told about the fact that Bob Heironimus did jump in a gorilla suit from the said costume maker, Philip Morris, and was filmed to recreate what he allegedly did in 1967. The so called “recreation” was so pathetic it essentially fell off the face of the earth, yet there remains a short video clip to be found on YouTube, which looks nothing like the real P-G film. But we are asked to believe Bob Heironimus. Give me a break. The late Roger Patterson is described as “no angel…” yet somehow the authors never bothered to talk with the still living Bob Gimlin. There is no mention of Bill Munns and the late Janos Prohaska, both who have worked in Hollywood, and, more specifically, on gorilla suits and costumes for special effects. 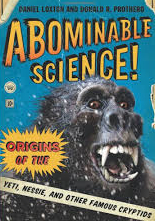 Their opinions on the P-G film is highly favorable, but you would never know that by reading Abominable Science. So, would we call this lying by omission or did the editor cut out all the positive stuff to fit a page count for the book? There is no discussion of the trackway from the P-G filmsite – somehow author Loxton managed to quietly tip-toe around that evidence, yet he does include a fair amount of discussion about the Bossburg “Cripple Foot” from 1969 and that the well known hoaxer, Ivan Marx, was involved, making the case “radioactive.” But again (lying by omission?) René Dahinden’s notes on the matter are not to be found. “I looked at this line of tracks 7 times and did not find any indication of faking,” Dahinden would write. Instead of writing about the radioactive “Cripple Foot” tracks, perhaps they should have discussed a lesser known but likely far more compelling case, the tracks found in Grays Harbor County, Washington, 1982 and investigated by Deputy Sheriff Dennis Heryford. In Loxton’s “Footprints” discussion, the 1982 tracks are not mentioned. In the “Hair and DNA” section Dr. Henner Fahrenbach, who has studied alleged Bigfoot hair, is never cited once. He has found that some hairs are of an unknown primate, when studied microscopically show a “red tinge” color and lack a discernible medulla (the innermost layer of the hair shaft). And if you just kind of poke around, you will find non factual statements. “[Joshua] Buhs met with George Haas…” on page 299. With people sometimes only an e-mail click away, I asked if Buhs ever met with Haas and he told me “no.” I suspect this book is riddled with non factual information but this was what I found due to time constraints. Again, I suspect the authors are guilty of completely ignoring certain people and anything that might be potentially damaging to their skeptical and debunking mission on cryptozoology. Agenda driven, of course. When it comes to the famous Yeti tracks found in 1951, Donald Prothero, responsible for this chapter, writes, “since the late 1980s, a school of thought has grown that [Eric] Shipton may have intentionally faked his famous tracks, citing investigative journalist Peter Gillman with this nonsense: “It would have been the work of moments to enhance one of the oval footprints by adding the `toe-prints’ by hand, particularly a hand wearing a woolen glove.” As a note to the reader, both Shipton and Michael Ward are deceased. In my opinion, Dr. Michael Ward, educated at Cambridge University and London Hospital Medical College, would not have participated in a hoax. In summary, the authors of Abominable Science, Daniel Loxton and Donald R. Prothero, try to present themselves as unbiased and professional, but their bias and obvious omissions is so troublesome it is blinding at times. Like the title of this book suggests, this is truly an abominable book. There are good reviews of this book by others. testimony” as on respect for native testimony. -Messner’s account must be clearly recognized as a tall tale. better) love to accept false confessions like Ray Wallace’s. ever have fooled anyone for a moment. part of the best scientific tradition of open minded exploration. Loxton is discussing a topic in which there is a wealth of fine empirical data and a equally voluminous heap of poor anecdotal evidence and the author totally dismisses the fine empirical data with absolutely no justifiable explanation, and wallows in the poor anecdotal evidence instead as if it were splendidly scientific. The author also looks to material nine or more years outdated, and demonstrates virtually no awareness of new research, data, developments, or shifts of the landscape of the controversy more recently than 9 years ago, when there has been tremendous new material and analysis work worthy of his evaluation. This is intolerable and unconscionable in a work proportedly to be educating the public about good science. 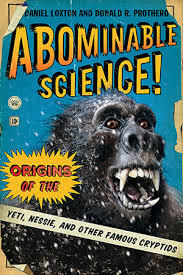 The complete irony is that the “abominable” science is that of the authors and their ilk. They, Shermer and the lot are not scientists; they are businessmen. They make their money publishing nihilistic pseudo-science with smarmy tones that for some reason amuses B minus industrial engineering types. In this sense, they and this book are no better than the Biscardis and Dyers of this world. Neither side helps in the advancement of truth. That the simple explanation that both Roe and Patterson saw a female of the same kind of animal doesn’t seem to occur to these guys is all one needs to evaluate everything else they say. I should add that Munns’s review of the book on Amazon is worth reading in its entirety. Previous Entry: Is Slenderman Generation Y’s and Z’s Bigfoot?